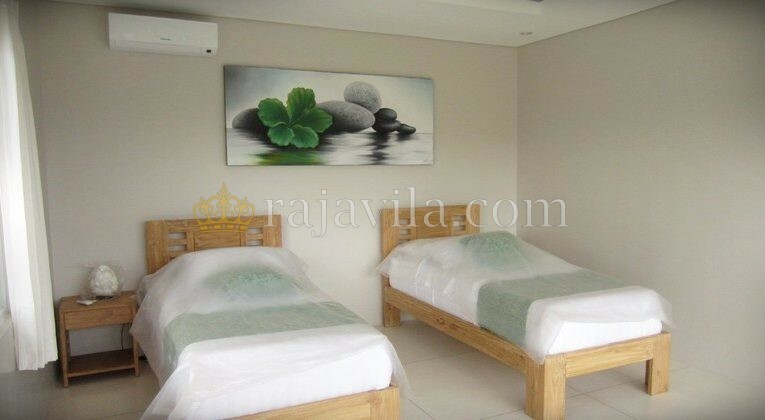 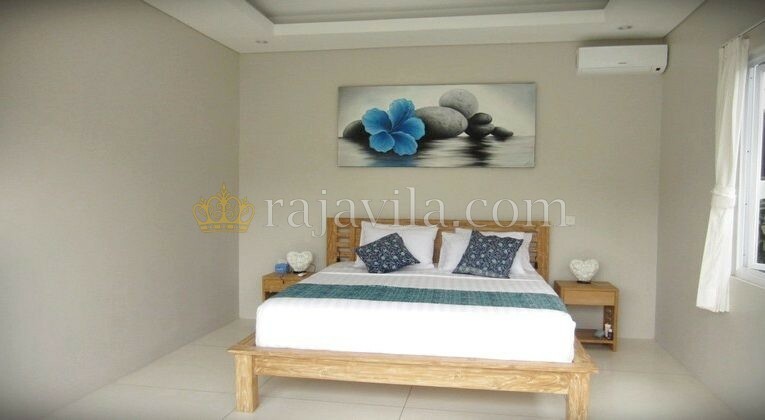 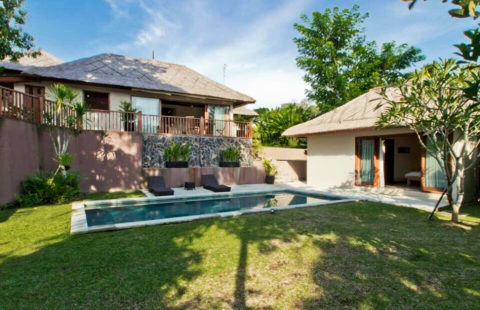 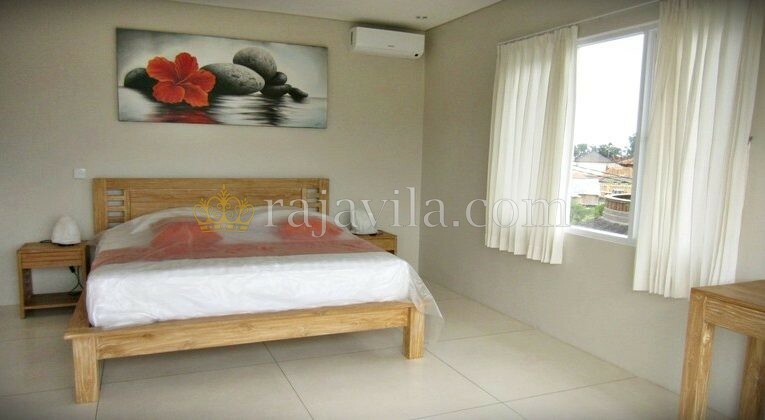 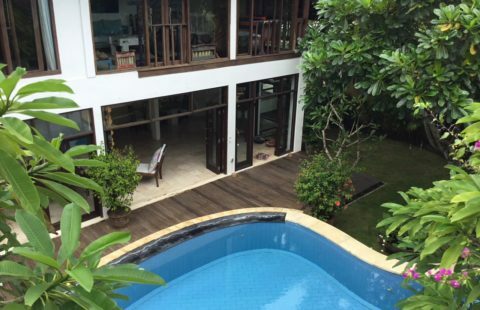 This two storey property is located in Berawa, the high end area of Canggu. 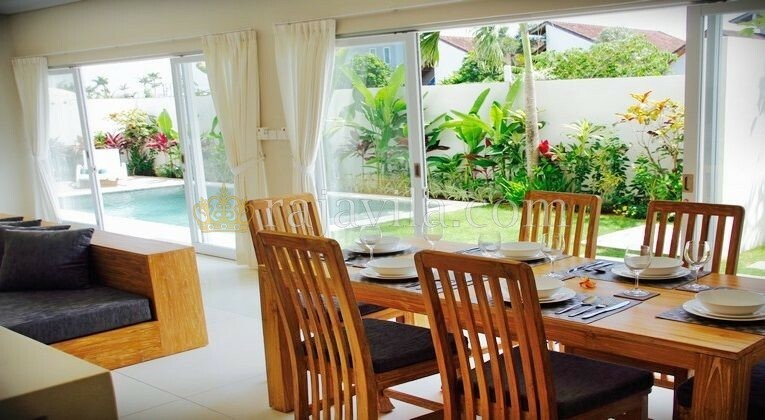 It is only a 2-minute drive to Finns Beach Club and La Laguna Restaurant and a short distance to Petitenget where all the fancy restaurants and shops are located. 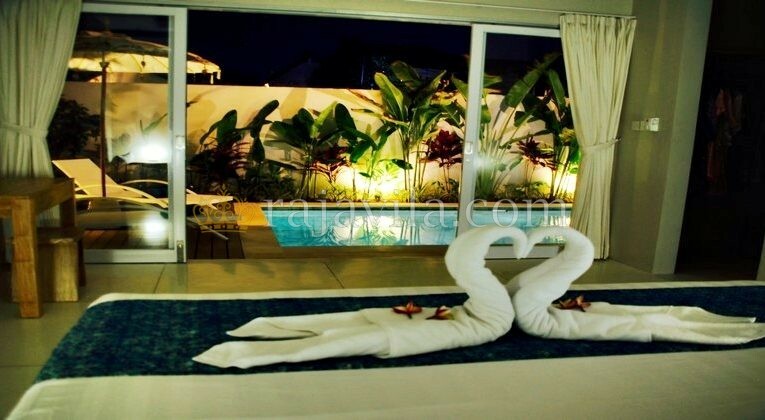 One en-suite bedroom is located on the first floor with a view of the private swimming pool. 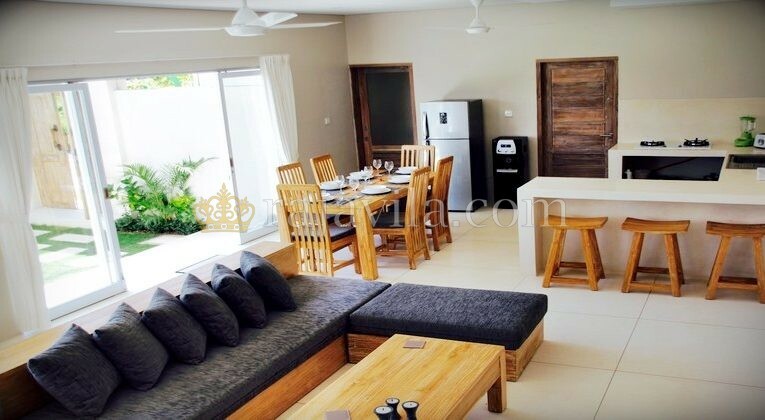 Adjacent to this room is the closed living room and kitchen area. 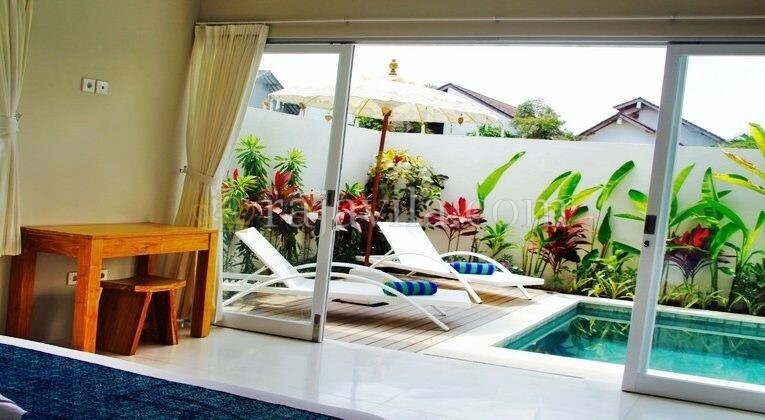 These rooms have direct access to the private swimming pool and small garden. 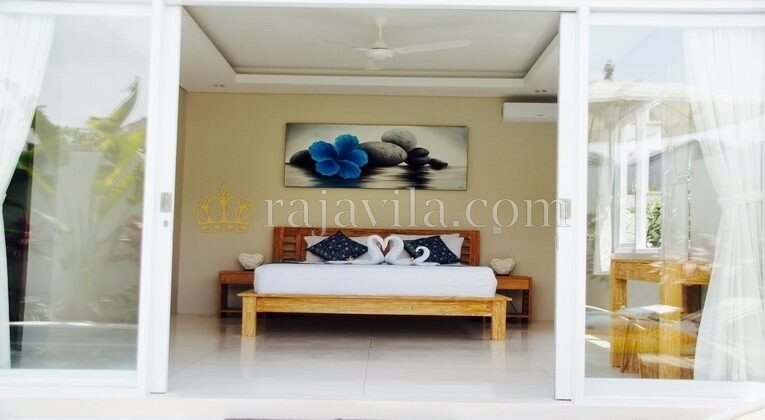 The other two en-suite bedrooms are located upstairs, both with a balcony with a view of the surrounding area and private garden.